I'm not sure where you live in the world, but in Northeast Pennsylvania, it feels like we live in a deep freezer! So.....Over the next few weeks, we will be bringing a few spring decorating ideas to help get through the last leg of winter. 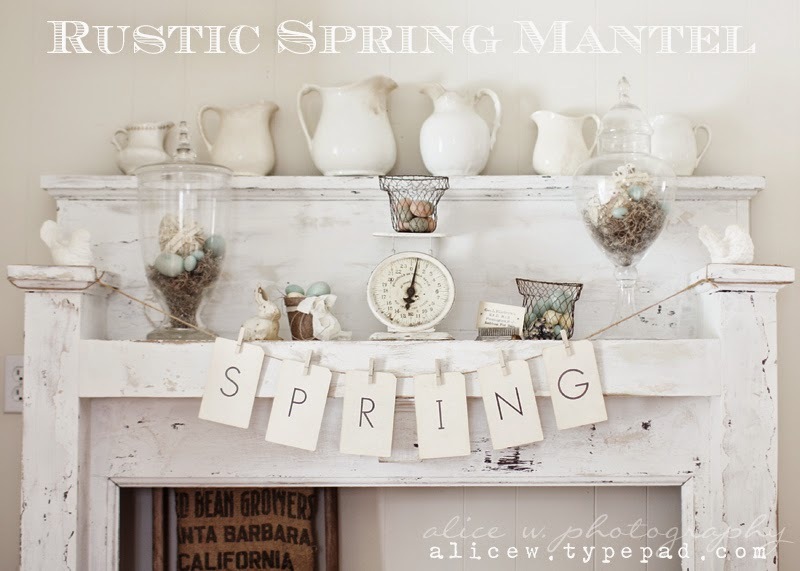 To kick start this series, here's a beautiful, rustic spring mantle posted by Alice of Thoughts from Alice. To see how Alice put together her mantle vignette, click on the photo above. Alice also has lots of great ideas, printables, DIY and so much more. We know you'll be spending lots of time visiting.